There's something exhilarating but also disconcerting about that moment when a band suddenly accelerates from cult love to something bigger—not quite fame, but perhaps the rung just below. It’s this “something bigger” that most musicians hunger for, are sure they deserve and yet never achieve. It cannot be forced, arriving when raw talent matures and is blessed with a bit of marketing alchemy—an unexpected award, a feature article or a slot on a high-profile soundtrack. The process is distinct from the blunt machinations that turn the likes of Britney, Avril and a hundred others into interchangeable money factories. Such a rarefied air hung over Tegan and Sara’s headlining appearance at Manhattan’s Bowery Ballroom in January. The duo—twin songwriting sisters from Canada who’ve released three CDs since 2000—had never headlined a larger New York venue before, and the show sold out with a couple days to spare. Their latest release, So Jealous, had generated a profile in The New York Times some months earlier; and, just a week or two before the Bowery gig, Rolling Stone anointed So Jealous one of the Top 50 records of 2004. It was clear from the start of their set that Tegan and Sara were well aware of the realm they’d entered, or that had claimed them as its own. They seemed more nervous, as well as more focused, than in years past. Their rambling, autobiographical narratives—always part of their charm, as well as a frequent source of exasperation—had been deliberately toned down; one sensed they were determined to do justice to this moment, and to their new material. Born in 1980, the sweetly diminutive twins began as spunky pop-punkers tangentially connected to the lesbian folk scene of Ani di Franco. Their first big break came when they signed with the label of fellow Canadian, Neil Young. Appearances at Farm Aid and on David Letterman followed; a video from their 2002 collection, If It Was You, inspired a profile on MTV and airplay on MTV2. Crucial to Tegan and Sara’s momentum has been their development as writers and arrangers; they have expanded their acoustic-based sound to create sophisticated electric pop songs with attitude and heart. At the Bowery, the sisters and their three-piece band sounded crisp and forceful from the get-go. I was quickly reminded that, while So Jealous is clearly T&S’s best CD, none of their recordings has quite captured them properly. Perhaps the spark that took Tegan and Sara to the next level aesthetically was the pain of separation. 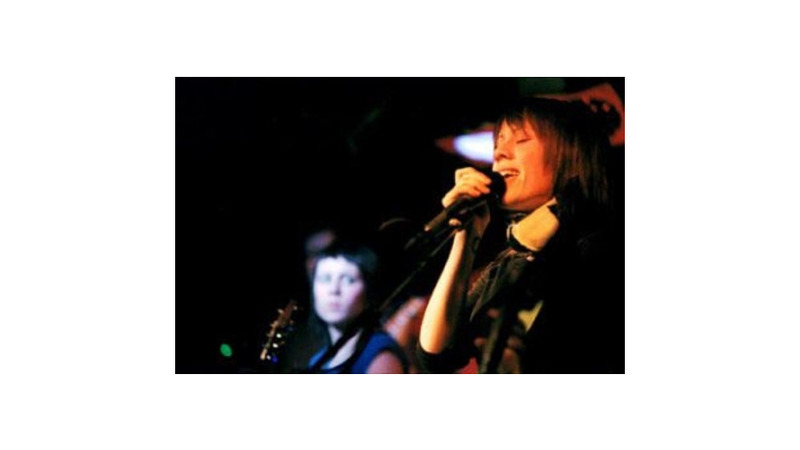 When Sara moved to Montreal—almost completely across Canada from Tegan, who lives in Vancouver—it marked a dramatic change in their usually intertwined lives; at least one of the album’s song (Tegan’s “Where Does the Good Go?”) was inspired by the new distance between them. In response to her hecklers, Sara made only one remark: “It’s all about you, isn’t it?” She quickly apologized, but the observation was dead-on in ways Sara might not have imagined. To be all that they can and should be, Tegan and Sara must shed old habits and crutches; and their fans will have to do the same. It’s no longer just about them, or the audience, or about their special relationship with each other; it’s about the music.